Hello! 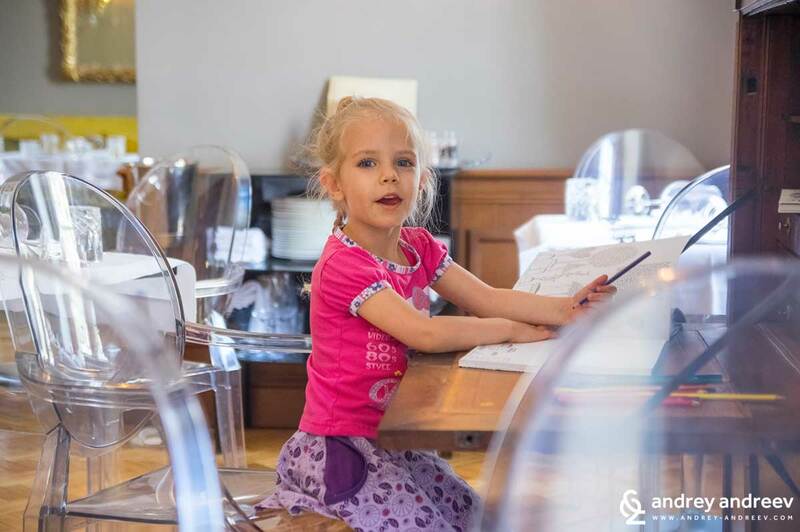 We are Andrey, Maria and little girls Anna and Adriana – the Andreev family. We live in Sofia, Bulgaria. Some of us have been living here for a long time, others for less and others their whole life.Now we want to show you our lovely city and take you to a walk through the most curious places for us. Places that we would be proud to show to anyone, or places we would tell about with a small dose of humor. After all, they are all amazing places from our Sofia. 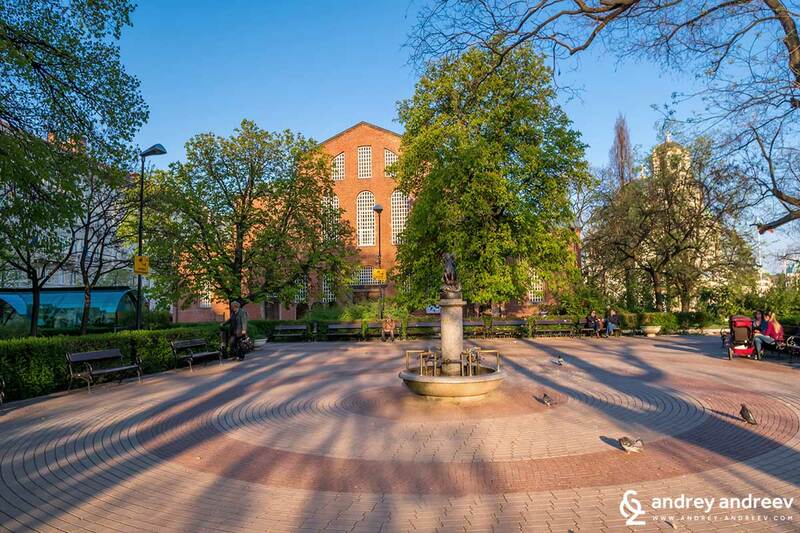 If you feel curious, we would be happy to take you to this small walk around Sofia. It could be done in only one day, but we are never in a hurry. 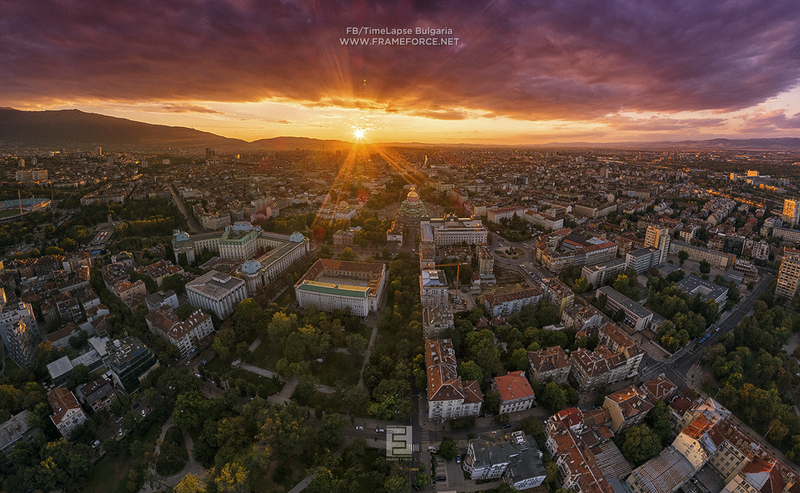 In this story you will see many aerial photos of Sofia, made with the help of my friend Stefan. It is not the first time I share his photos, he is really a great guy and if you want to see more of his amazing drone photos follow him on Instagram and Facebook. Sofia for the first time: Where to start? 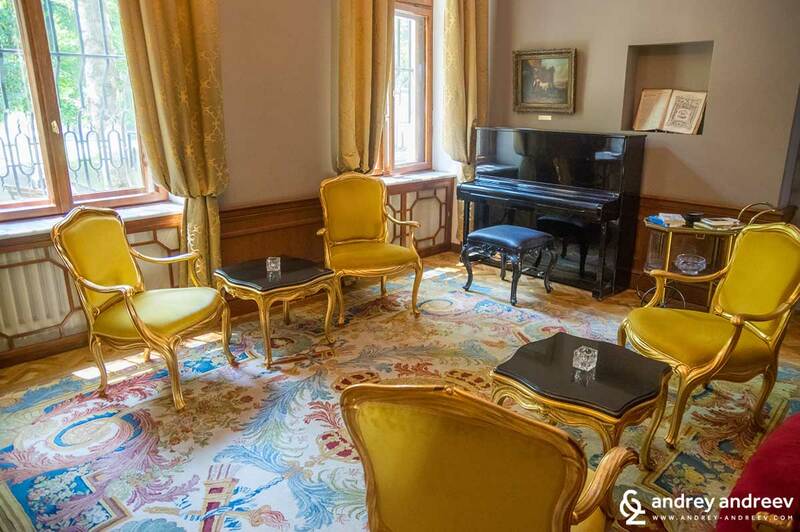 Sofia is not so big so no matter where you are staying, there is a huge chance that you are close to the city centre. The Centre is actually a very wide place and no one can give you a straight answer which area exactly counts as Centre. For a fresh start, I suggest we pick some big building that can be seen from far away and that can be your central point for the rest of your trip. Through its almost 100-year history the cathedral was named after St. Alexander Nevsky. St. Alexander Nevsky served as Prince of Novgorod (1236–40 and 1240–56 and 1258-1259), Grand Prince of Kiev (1236–52) and Grand Prince of Vladimir (1252–63) during some of the most difficult times in Kievan Rus’ history. He is considered one of the most important figures in Medieval Russia. Some historians even consider his rule as a the beginning of the Russian ethnos. So why the largest church in Bulgaria was named after a Russian saint? The reason is because it was built as a sign of gratitude to the people of Russia from the people of Bulgaria because of their participation in the Liberation of Bulgaria from Ottoman rule. 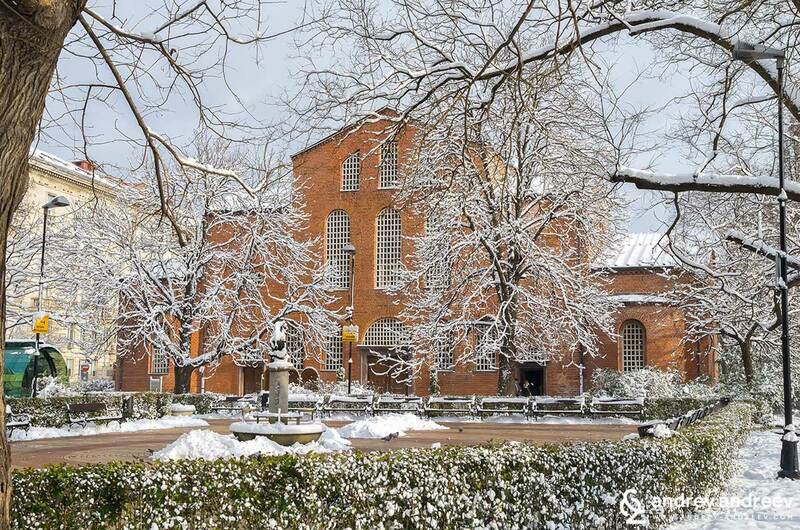 For a short period – from 1916 to 1920 – the cathedral was renamed and bore the names of St. Cyril and Methodius. However, later its initial name was reinstated. St. Alexander Nevsky cathedral was built between 1882 – 1912. It was erected on the highest then point of Sofia. In the church there is a stone with an inscription showing the exact altitude – 55 metres. Several years ago we wanted to climb the bell tower of the cathedral but it appeared that we needed a special permission from the Bulgarian Orthodox church. Generally, it is not allowed to take photos in the cathedral. Anyone taking pictures inside is doing it without permission. And we are never breaking the rules, this is why we do not have our own photos from inside the cathedral. But someday we will obtain permission, I believe it. 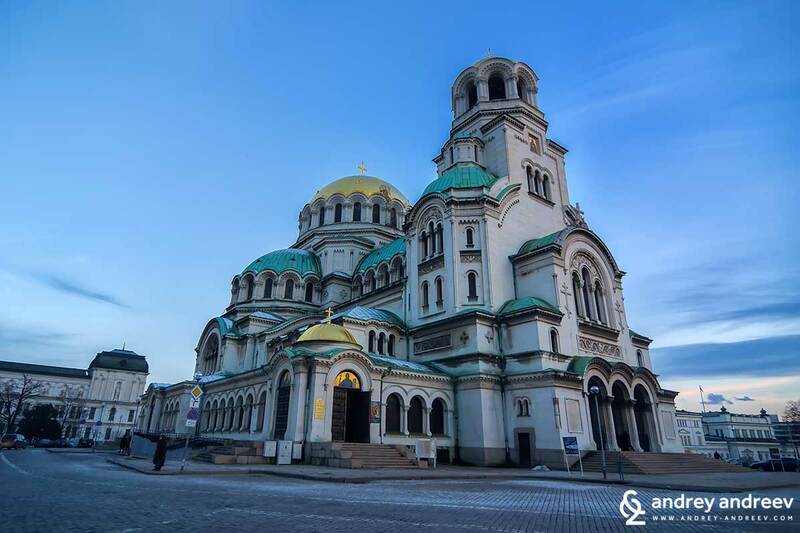 The St. Alexander Nevsky church is also a cathedral of the Bulgarian patriarchate. Upon entrance, you will see two thrones. The bigger one is the only throne preserved from the times of the Bulgarian monarchy. Once there used to be also thrones for the queens and the prince. However, they were removed after the fall of the monarchy. The smaller throne is the one for the patriarch. The cathedral is really glorious,dominating the square and the other buildings around it. It also can be seen from many parts of Sofia. 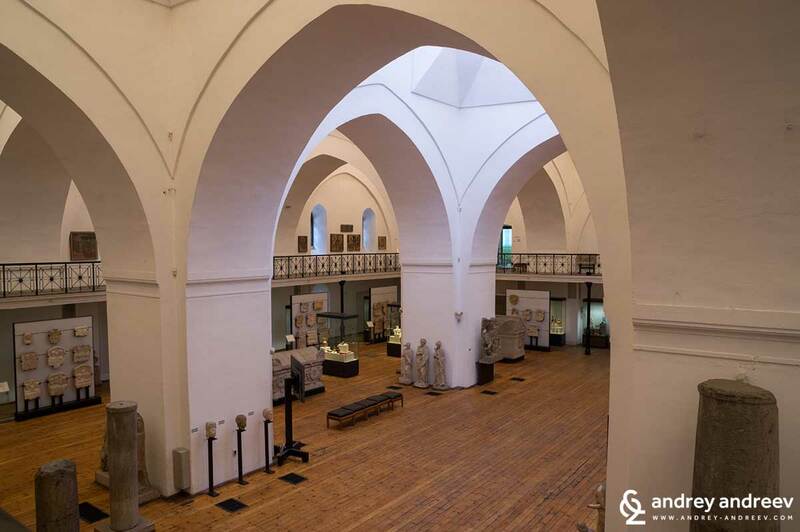 In the crypt of the church you can see the Museum of Christian art, keeping one of the largest collections of icons in the world.There you can find icons dated from 4th to 19th century. 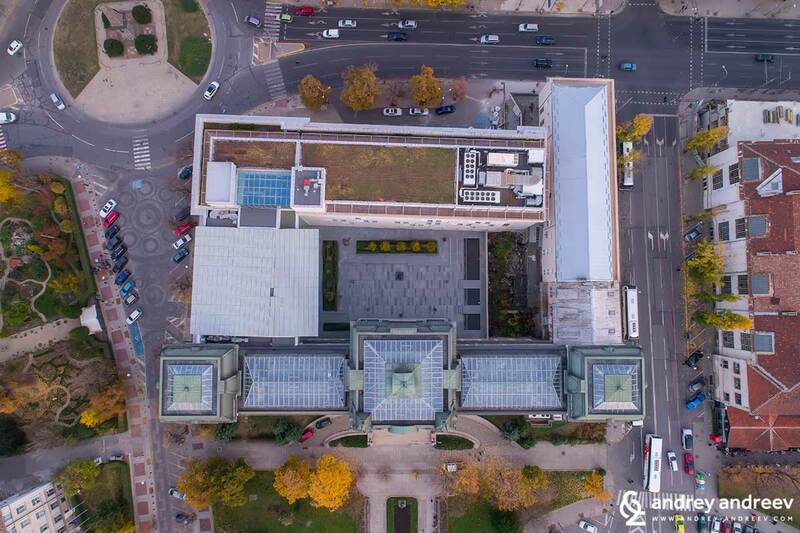 Another interesting place to visit on the same square is the National gallery Kvadrat 500, known also as the Bulgarian Louvre. It is of course quite more modest from the Louvre but there still can be found amazing artworks. And it might not be the Louvre but you can still spend a day inside. 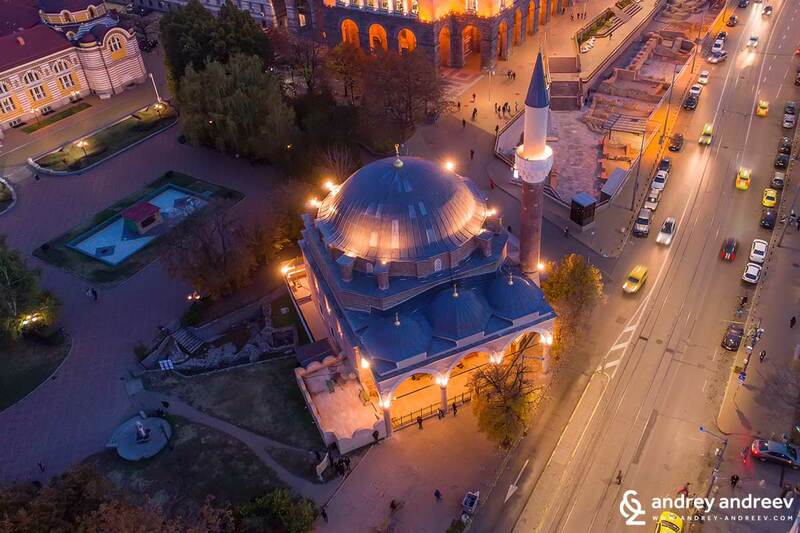 Our capital was not named after the martyr Saint Sophia whose memory we honour on September 17th.Instead, the city bears its name from the Saint Sofia church, named after the Holy Wisdom. 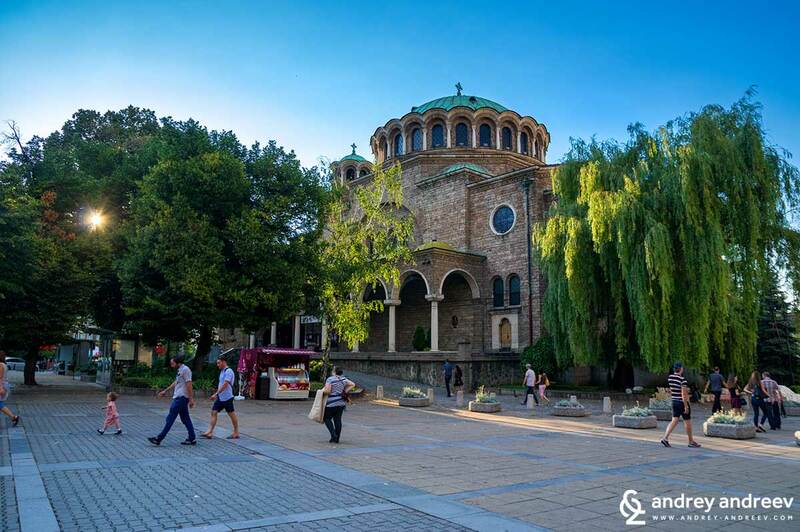 The current church was built in the 6th century on the remains of 3 older churches, dating back to the 4th century AD.Initially it was a cemetery church, located at the end of the town, but nowadays it is one of the most important buildings in central Sofia. 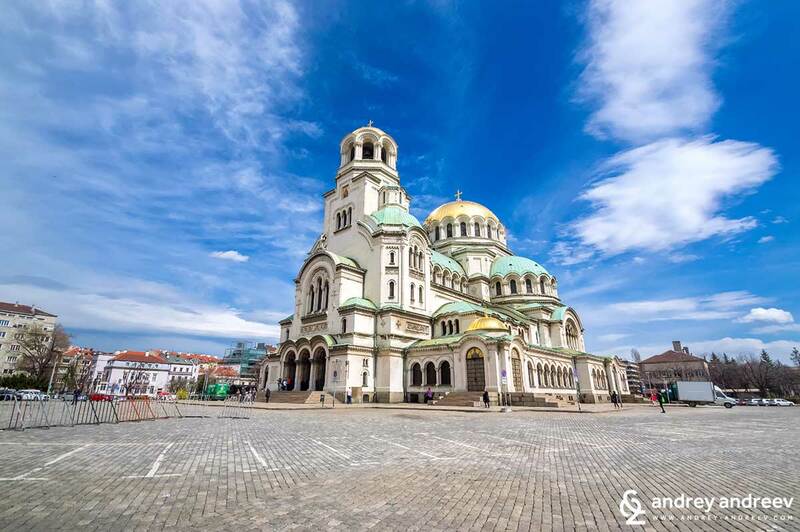 The Saint Sofia church is the oldest religious temple in Sofia and one of the oldest buildings in the city at all. It is also a contemporary of the better-known Hagia Sophia church in Constantinople. 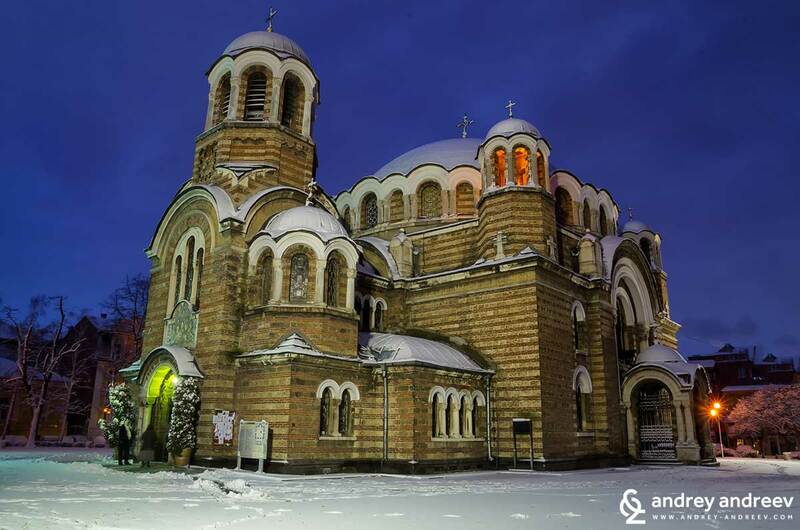 Saint Sofia church has always had an important place in Bulgarian history. During the Second Bulgarian Empire (12-14th centuries), ir acquired the status of a metropolitan church. In the 14th century, the church gave its name to the city. In the 16th century, during Ottoman rule, the church was converted into a mosque: the original 12th-century frescoes were destroyed and minarets were added. In the 19th century two earthquakes destroyed one of the minarets and the mosque was abandoned.Restoration work was begun after 1900. 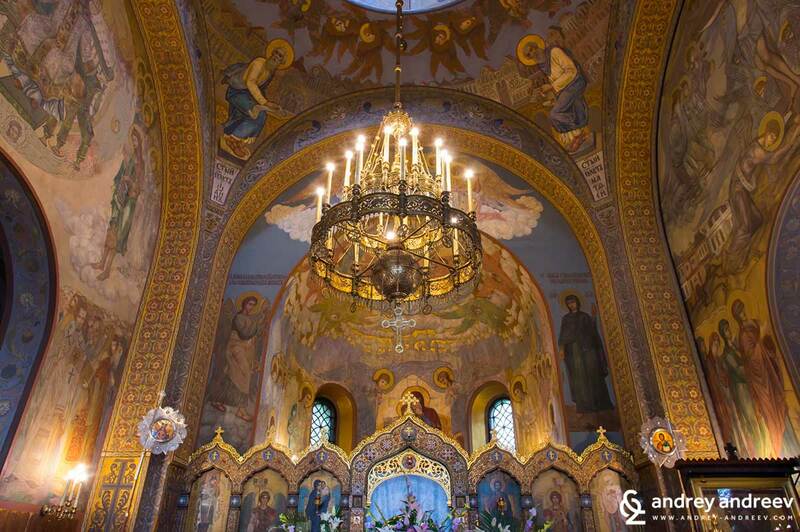 It was restored as a church in 1930 and since then is one of the most important churches in Sofia. In the late 19th century whole Sofia could be seen from St. Sofia church. Then Sofia was still a small town and the church was also used as a watchtower of the fire brigade. The church still keeps evidences of its rich history. In the archaeological level of the basilica you can see well preserved mosaics and other elements from older temples on the site. 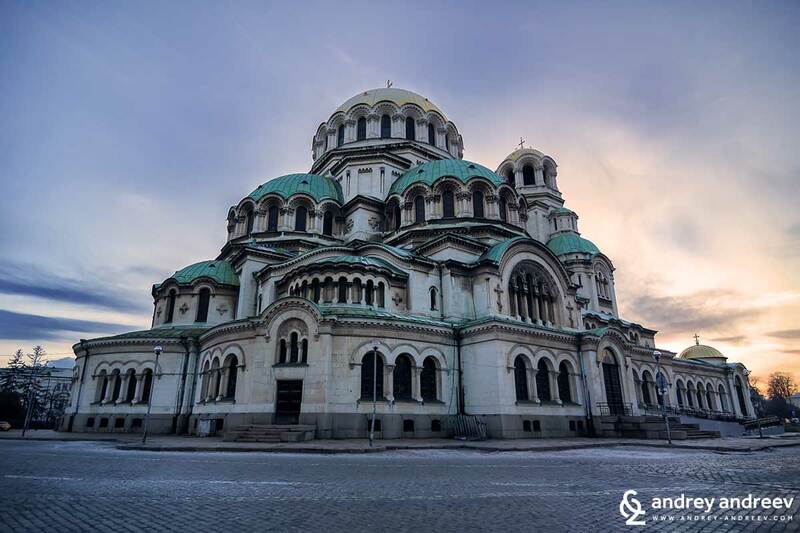 So even if you are not too religious, I advise you to allow a few minutes and enter the Saint Sofia church to see how much history it really keeps. It is a really impressive monument of culture and history. 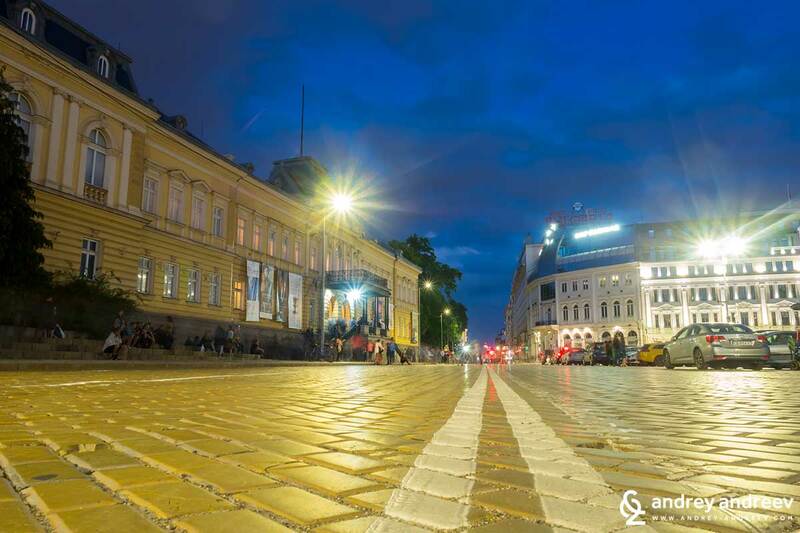 On the opposite side of the St.Alexander Nevsky cathedral you will see the famous yellow pavement. They are one of the main symbols of central Sofia and if you have not heard about them already, here is the story. 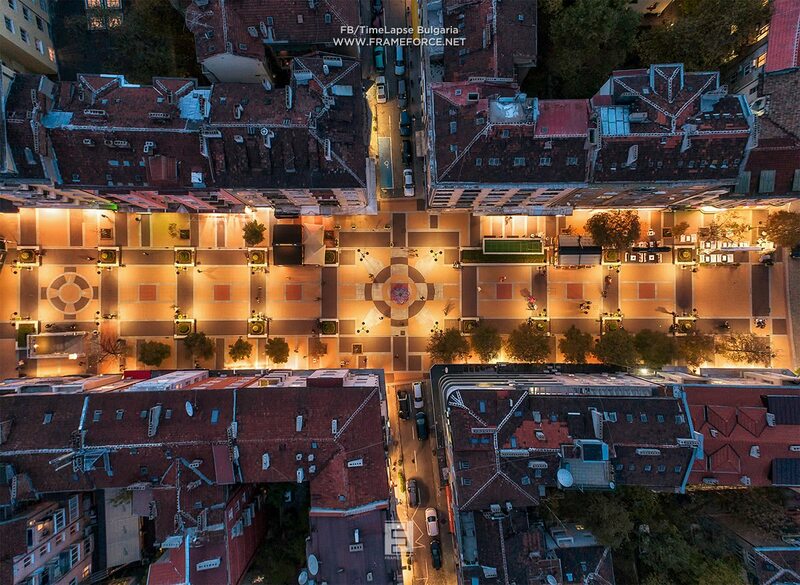 The special pavement blocks are really one of the symbols that bear the real spirit of Sofia. 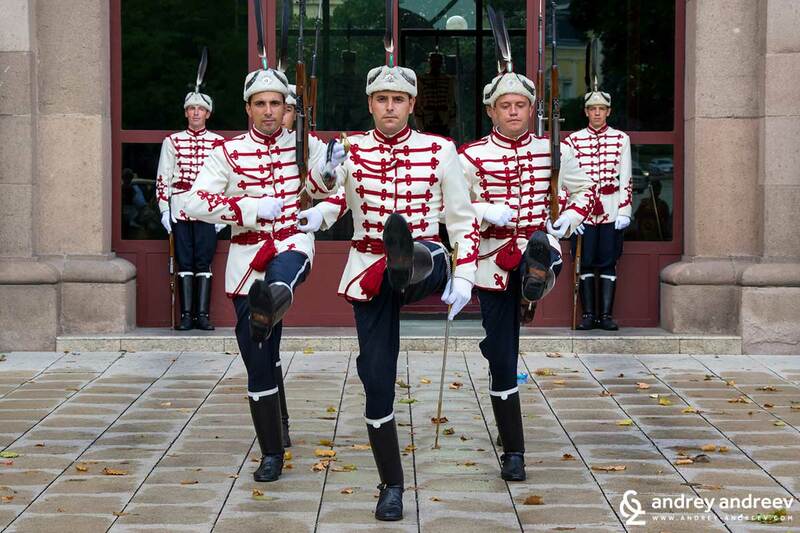 They are not only a symbol of central Sofia but also a symbol of the state authority in Bulgaria and many other things. Walking on them is not that easy, especially in wet seasons. But we never miss a chance for a walk in this notable area of Sofia. Where did the Yellow pavement come from? The yellow pavement was placed in 1907 – 1908 on the initiative of then mayor Martin Todorov. He wanted to change Sofia’s look and make it more European instead of the then Oriental look. There was a huge dilemma about the street covering and the options were asphalt,stone pavement and ceramic pavement. The mayor did not like the asphalt at all and was fascinated by the idea of a ceramic pavement. And despite this was difficult and expensive to make in Bulgaria, he did his best to achieve it. The pavement blocks were produced in Austro-Hungary from a special limestone called Mergel. For long years Bulgarians did not know where exactly the pavemen tblocks came from. But in the 1960 were found documents showing evidence of theorigin of the pavement. The yellow pavement covers almost 60 000 sq. metres from the centre of Sofia. 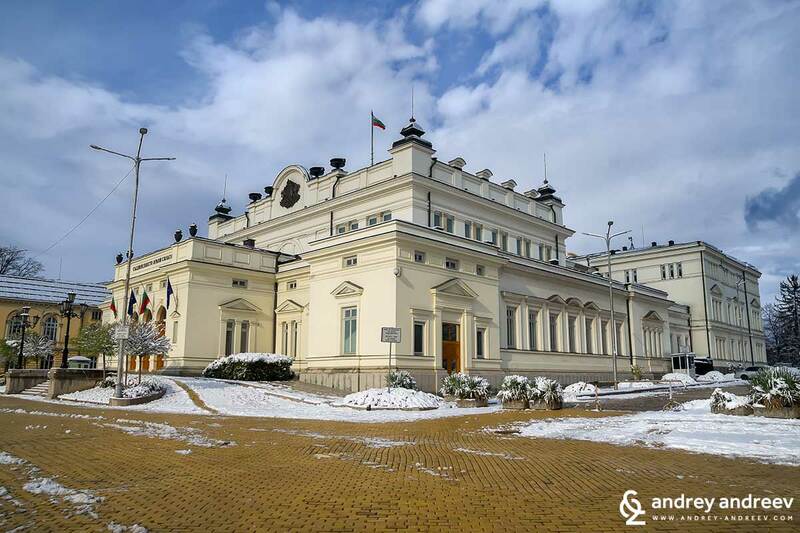 In the area are located some of the most important buildings in the country – the National Assembly, the Council of ministers, the former Royal Palace, National Theatre, Bulgarian national bank and many others. Walking by the pavement, you will spot impressive buildings although not all of them are open for visitors. Walking on the yellow blocks can be a challenge though. Most of them cover streets with intensive traffic and they are not very comfortable for ladies on heels. Moreover, it can be a challenge to balance on them in wet weather. But anyway, we love the walks by the yellow pavement when we are in Sofia. One of the most notable buildings on the Yellow pavement is the Central military club, built between 1895 and 1907. It is located on the key crossroad between the streets Rakovski and Tsar Osvoboditel. 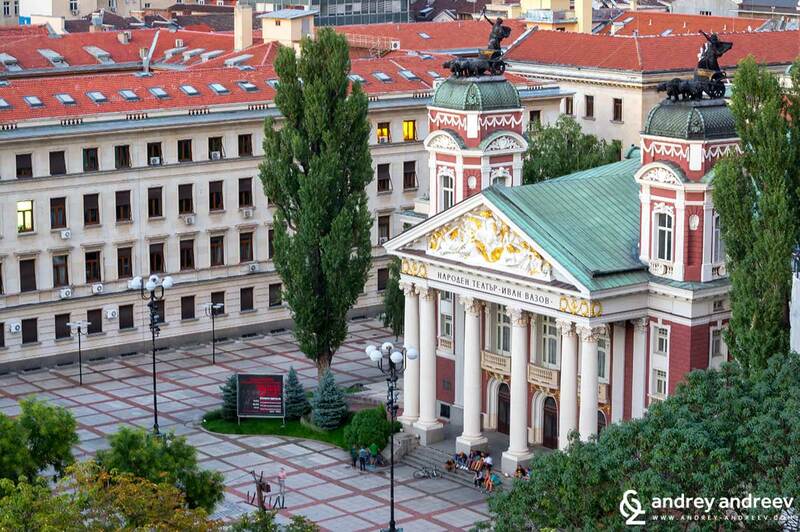 It is one of the most beautiful buildings in Sofia and today it is mostly used for cultural events. Unfortunately, you could only enter If there is a public event like a concert or something like this. However, it is still nice to walk by it and enjoy the building from the outside. Just opposite the Military clubyou will see the impressive building of the Russian churh St. Nicholas the Miracle maker. The church is a place that makes everyone stop at least for a while, even if you are not a believer. It is a small building but very distinguishing – with its golden domes and architecture different from most churches in Bulgaria. The construction of the Russian church lasted many years. It started some time in the late 19th century (no one knows for sure when) and the church was inaugurated in 1914. Its main purpose ten was to serve the needs of the many Russian immigrants in Sofia. 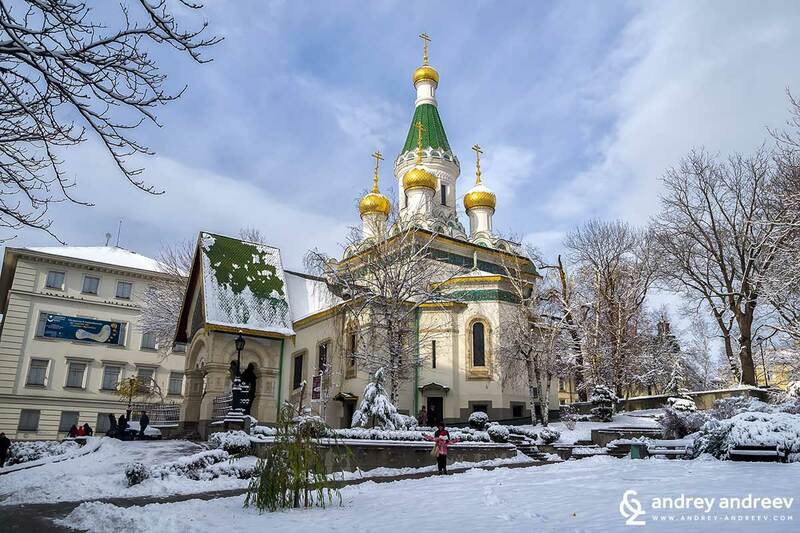 Today the Russian church is not only a beautiful place but one of the most visited churches in Sofia, both by locals and tourists. And not only Russians. 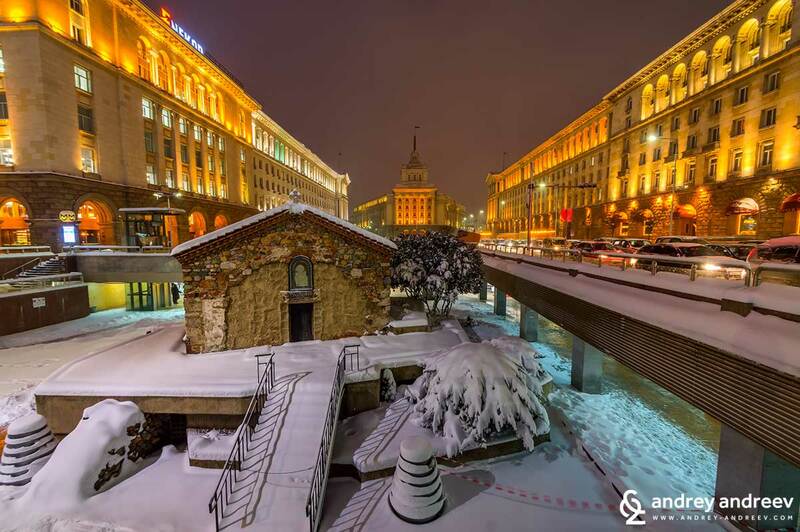 In the crypt of the church is the grave of Saint Seraphim (Sobolev) the Wondermaker, a former Russian archbishop who lived and served in Sofia for many years and died in Sofia in 1950. He was canonized in 2016. He was a highly respected person when he was alive and after his death thousands of people keep flowing to his grave to pray for healing or solution of difficult life problems. Everyone can go to the crypt, write a small letter and leave it next to the grave of Saint Seraphim. Many people believe that he really helps. There are places that are not often visited by the regular people in Sofia. One of them is the fancy and cozy restaurant Club Pouchkine. We had the chance to enjoy the pure pleasure of a lunch there and it is really a special place, despite going with an impressive price tag. It recalls of these aristocratic clubs where noblemen used to gather, smoke cigars and relax from their daily problems. Well, we are not noblemen and we do not experience this too often. 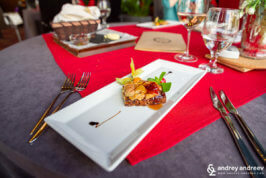 But if you are in the mood and want to taste top-level European cuisine and have some extra budget to spend, it is really worth a try. 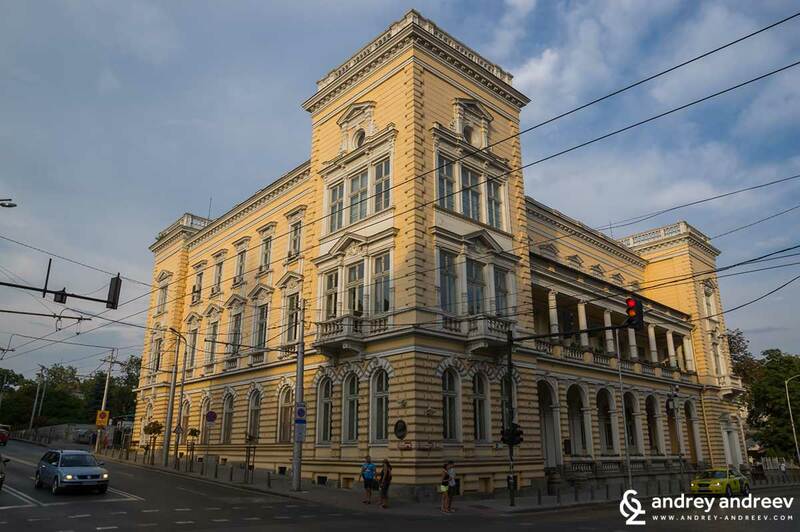 The yellow building of the former Royal palace is a gem of central Sofia. It emits dignity and together with the yellow pavement creates an amazing ensemble in this part of Sofia city centre. The long 4-floor building was built between 1880 and 1896. It served as a palace for three generations of royal families – these of Knyaz (Prince)Alexander I of Battenberg, Tsar Ferdinand and the last Bulgarian Tsar – Boris III. We have told more about the palace and this part of Sofia in our article Sofia for guests and locals – The Royal Palace, National theatre and City Garden. The area really deserves a lot of attention. 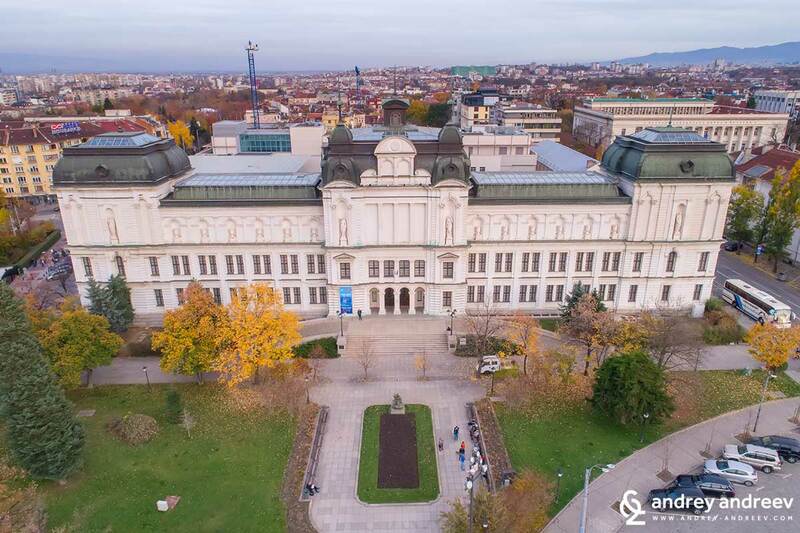 Nowadays the palace is home of two museums – the National art gallery and the National Ethnographic museum. Almost nothing has been preserved from the original interior but the atmosphere is still special and reminds of its royal times. You can feel it even of you do not go inside and just climb the stairs and stand on the balcony for a while. You will also love the view to the City garden in front, which we will tell you about now. 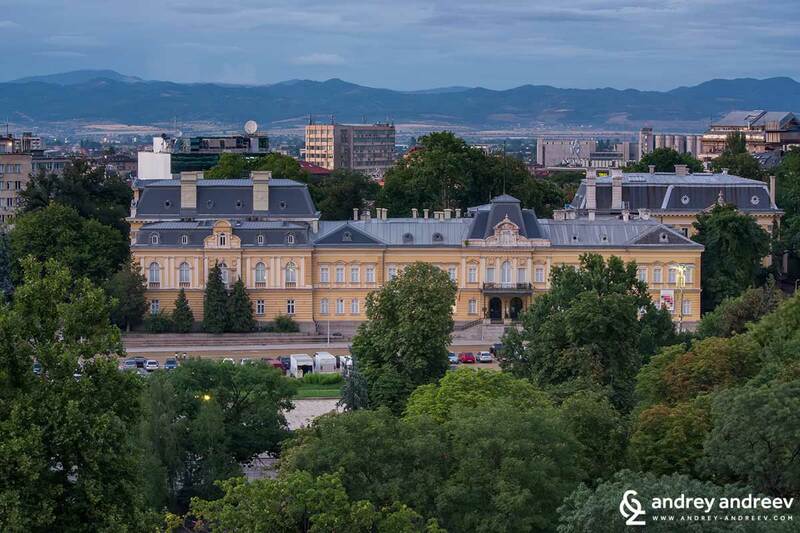 On the territory of Sofia there is one more royal palace – the Vrana palace that was once very far from the city. It is not possible to enter the building of Vrana palace but in the weekends you can take a walk in the beautiful park around it. 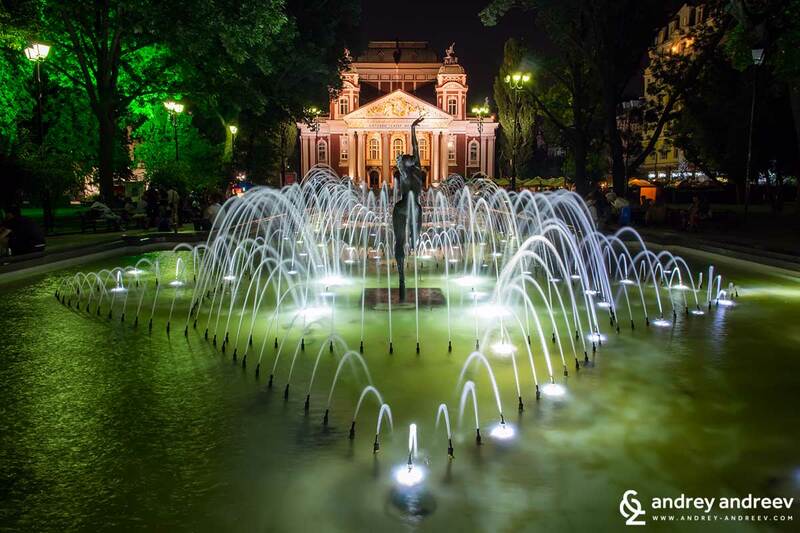 The building of National Theatre Ivan Vazov and the City garden around it are also one of our favourite places of our family. First, it is easy to park there and there are free parking spots almost all the time (mind that it is Blue Zone from Monday to Saturday –parking costs 2 lv an hour and you can leave your car for no more than 2 hours.It is still a very good solution for us). Second, the area is very nice. When I was a student, I loved going to performances of the National Theatre. I still love it but we rarely have the option to leave the children to someone in the evening. The City garden is known with its young visitors. In the summer it is full of young men and women sitting around the fountains or spreading blankets on the grass around, drinking beers. Some elder visitors are not too happy with this but the young people really make this area one of the liveliest places in Sofia. Another impressive place nearby is the Bulgaria Concert Hall (Concert Complex Bulgaria, Bulgaria Hall). It is a must-visit place if you love classical music andt here are regular performances. This summer our 3 y.o. daughter Anna has happy to visit it and even play the organ for a while. Now every time she sees the Bulgaria hall on the TV she says “I was there!”. So this completely crashes the myths that little children do not remember their experiences. We could write a whole new article about the Largo, full with historical facts and details. 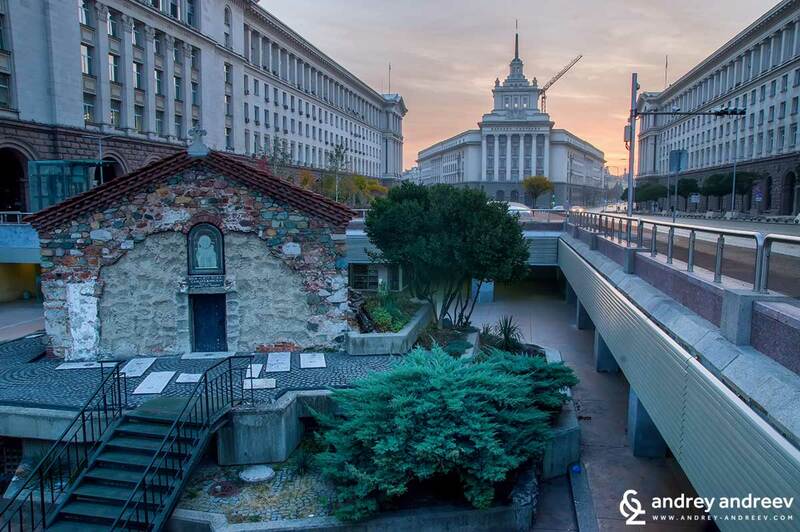 The Largo is an ensemble of buildings at the very heart of Sofia, inherited by the era of socialism and communism. 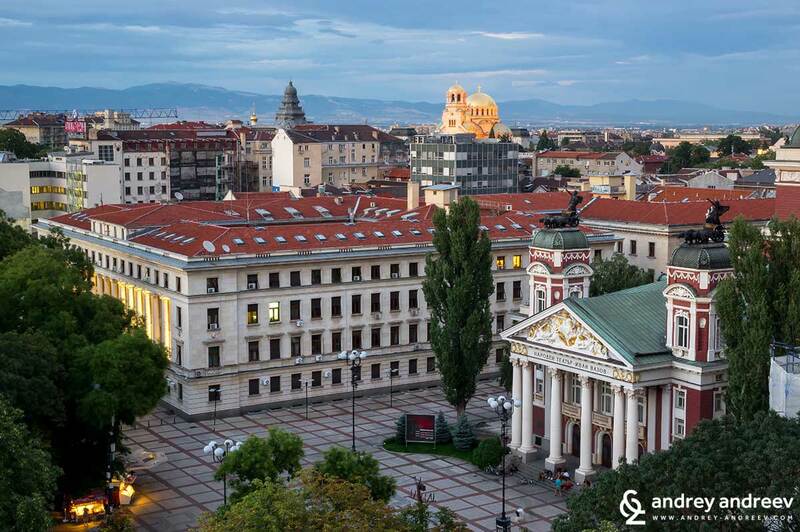 And just below it is the historical heart of Sofia from the Roman times – the remains of impressive stone streets and building of the roman city of Serdica. It is amazing how this very place was the centre of the city through many different ages. Below the former Communist party headquarters was revealed the Eastern gate of Serdica. Exactly there you can see the remains of one of the main streets of the ancient city –Decumanus maximus that connected the Eastern with the Western gate. The other main street – Cardo maximus, used to cross the Decumanus maximus just around the St. Nedelya church. In the underground area of the Largo you can walk among the remains of these streets and the ancient buildings and try to imagine how Romans once lived here. Here is one of the most famous hotels in Sofia – the luxury Hotel Balkan***** , known also as the former Sheraton hotel. The thing I do not understand about contemporary Sofia is the lack of mineral baths despite the many mineral springs on the territory of the city. Have you been to Budapest, the European capital full of mineral pools and baths? Well, I do not know why this is not happening in Sofia, too. There are only some hospital-like facilities in Bankya and Ovcha kupel district but no common public places to enjoy the mineral waters. 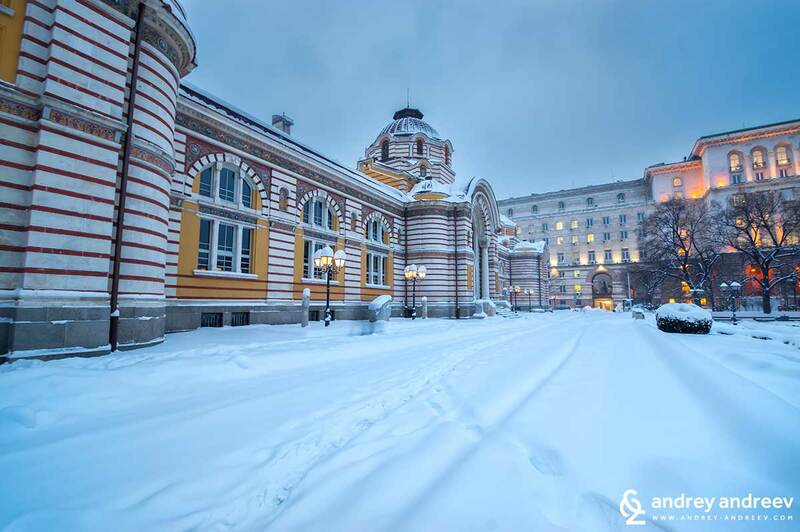 The only place in central Sofia where you can enjoy the mineral water is the fountain near the Central Bathhouse. Most people come here to fill their bottles for home or just wash their hands with the hot water. Unfortunately, the bath itself has not been functioning for years but its beautiful building still stands there. Luckily, there are still many other places across Bulgaria where you can enjoy hot mineral waters. See our list of Outdoor Hot mineral pools across Bulgaria. The Sofia Central Bath was renovated a few years ago and today hosts the Regional History museum. It is indeed a very interesting place and we would happily recommend it if you like visiting museums. 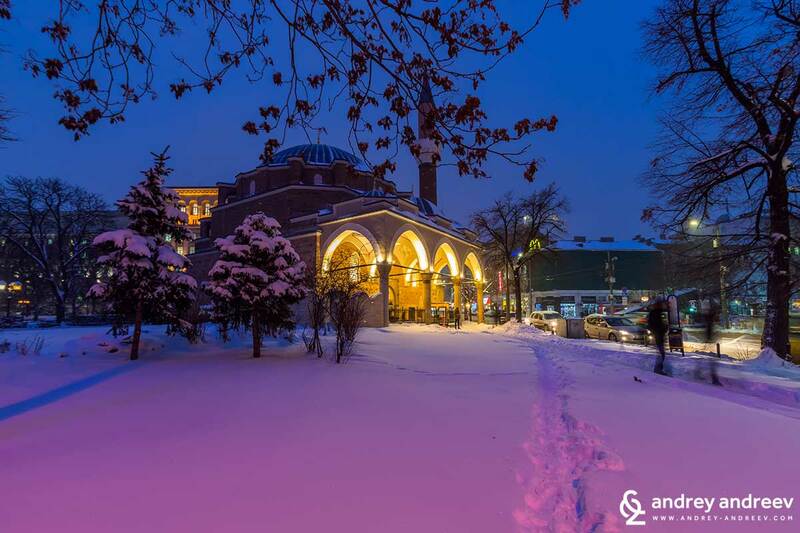 Just opposite the Central Bath is the Banya Bashi Mosque, built by the famous Ottoman architect Sinan around the 16th century. For some locals its presence here is controversial. 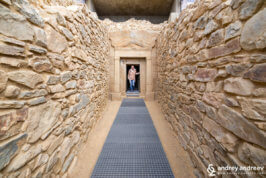 But it is really a notable building with huge historical and cultural value and we respect it a lot. Nowadays it can accommodate 500 – 700 pilgrims and on big holidays you can also see people praying outside. Even if you are not Muslims, you can enter the mosque and enjoy its beautifully decorated interior, as far as that you obey the rules noted at the entrance. This is the only acting mosque in Sofia.There are two former mosque buildings that now have other roles. One of them is Buyuk mosque, now hosting the National Archaeological Museum. The other one is the Black Mosque, thought to be also a work of Sinan. 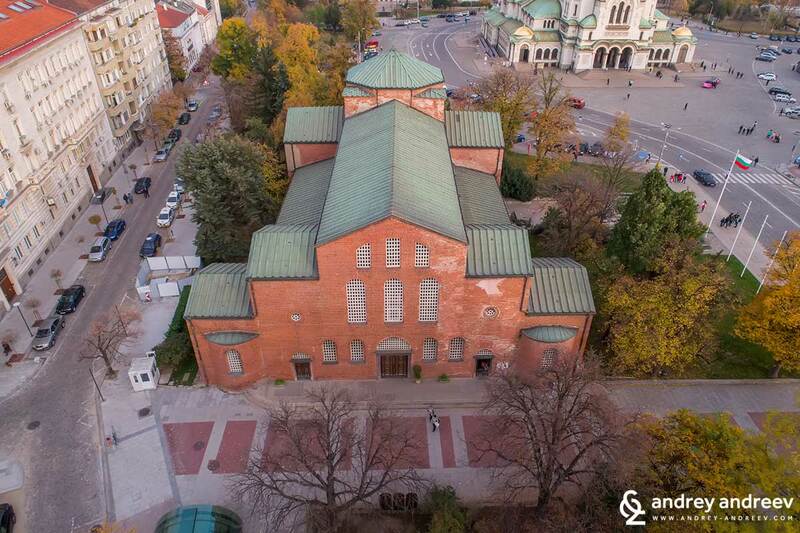 Nowadays the building is transformed into a church – Sveti Sedmochislenitsi. 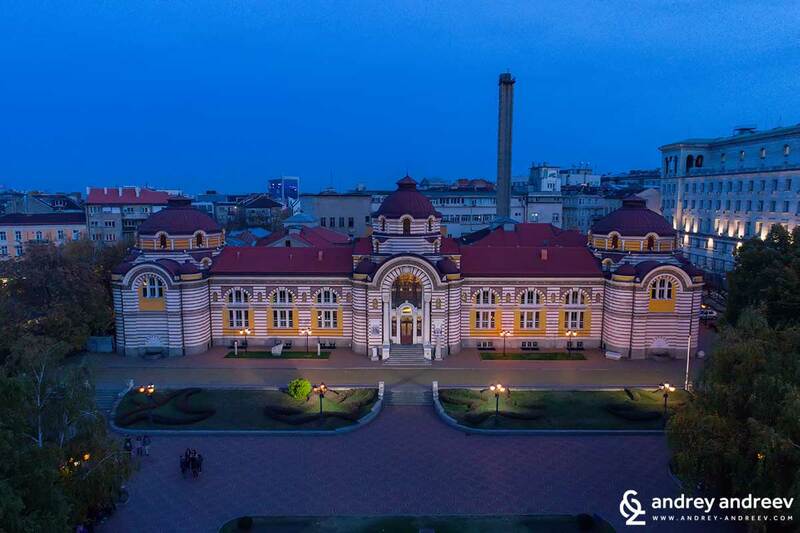 Just opposite the mosque you will notice another impressive building – the one of Central Market Hall, known also as the Central Hali Market, or as said in Bulgarian – the Tsentralni Hali. 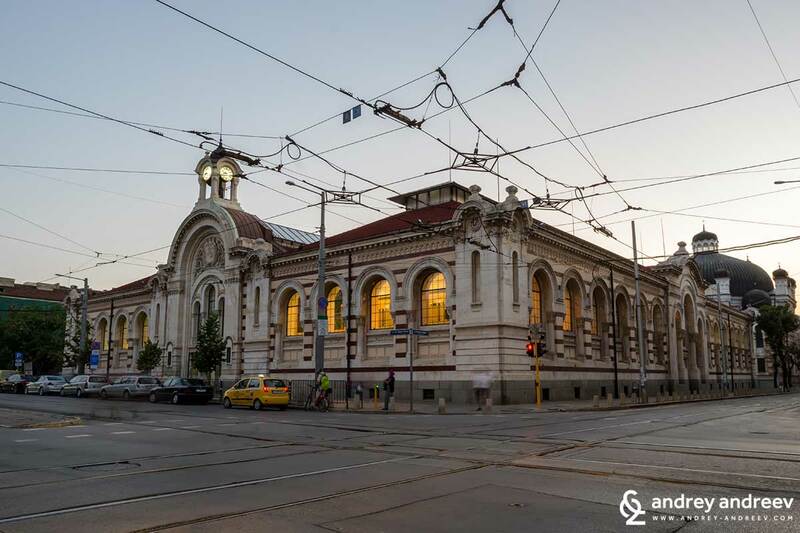 It was built in 1909 – 1911 and has always been one of the most important trade centres in Sofia. The building was reopened in 2000 after long years of restoration and nowadays is still one of the largest markets in Sofia. Here was once operating the first ice generator in Bulgaria. The market lost is popularity fora while after it was closed for reconstruction in 1988. However, in 2000 it was reopened and is now taking its important place in central Sofia. The Sofia Synagogue is a little bit hidden behind the building of the Central Hali. It is located on Ekzarh Yossif 16 street and is left a little bit aside from the main tourist routes. 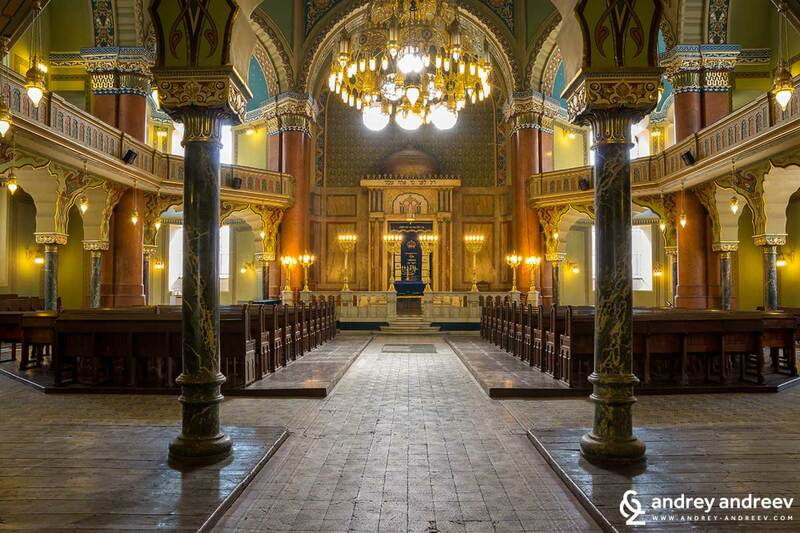 However, it is the largest synagogue on the Balkans and third largest in Europe after these in Budapest and Amsterdam. It was built in 1904 – 1909 following the model of the Vienna synagogue Leopoldstädter Tempel (demolished in 1938). 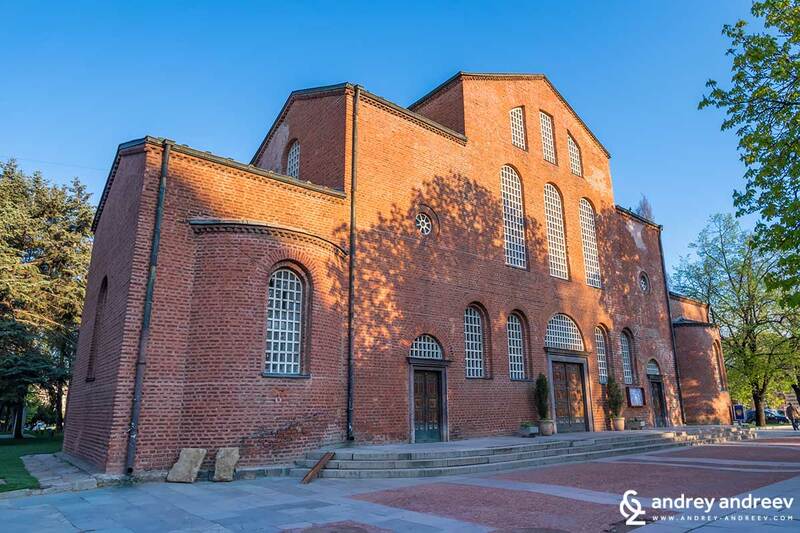 Despite the Sofia synagogue may accommodate 1000 people, it is rarely crowded. Nowadays there are not so many believers who visit it here. The synagogue is also open for tourists on separate days and hours – check the timetable on the door. Once we were stopped in Albania by an elder man who was fascinated how in Sofia a church, a synagogue and a mosque can stand next to each other. He meant exactly this area – between the Banya Bashi Mosque, the Synagogue and the Saint Nedelya church a few steps away. I really hope we stay tolerant to all religions. But this diversity has impressed not a single visitor. 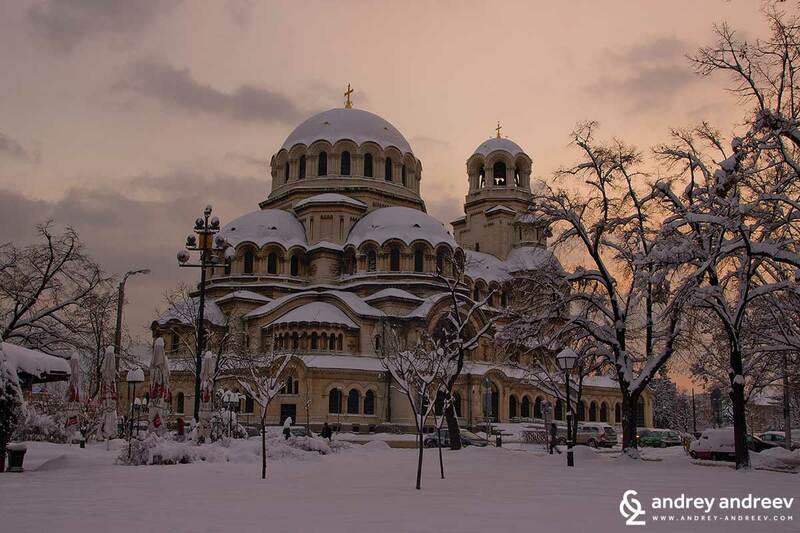 Saint Nedelya (Sveta Nedelya in Bulgarian) has always been on of the symbols of central Sofia. 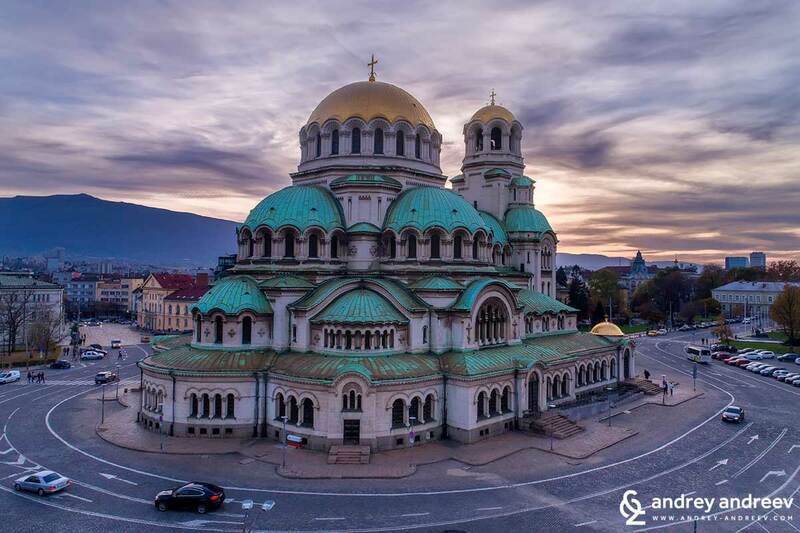 In late 19th and early 20th century it was known as Sveti Kral (meaning Holy King) because it accommodated the remains of Serbian King Uros III (1282 -1321). The old church was built between 1856 and 1863 for a cathedral. The St. Nedelya church became tragically famous with the terrorist act against it in 1925, when 193 people died. The building was almost entirely destructed and then rebuilt in the 1930s. 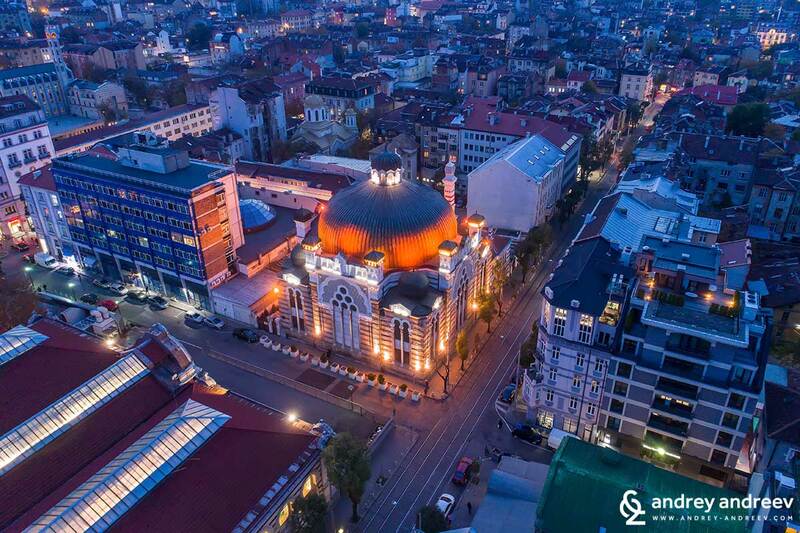 Nowadays it is one of the most popular and also most beautiful churches in Sofia. Here in Sofia the famous Vitosha Boulevard is known only as Vitoshka. And there is no way to skip this street.We can declare it the new-old heart of Sofia. Vitosha Boulevard is the largest pedestrian street in Sofia and the most popular one. We regularly take walks therewith the curiousity of tourists, looking for a nice restaurant or just new attractions. Luckily, there are plenty of cafes and restaurants where you can sit for a rest or just to enjoy the view of passers-by. There are both very fancy and not that fancy restaurants, but the fancy ones are dominant. However, do not think that is is only a touristic area. 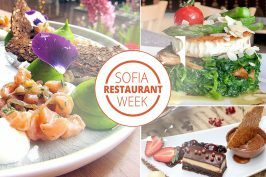 Regular people from Sofia also come here and sit to eat or drink so do not hesitate to have lunch or coffee on Vitoshka. How to reach Vitosha Boulevard? The easiest way is by metro. 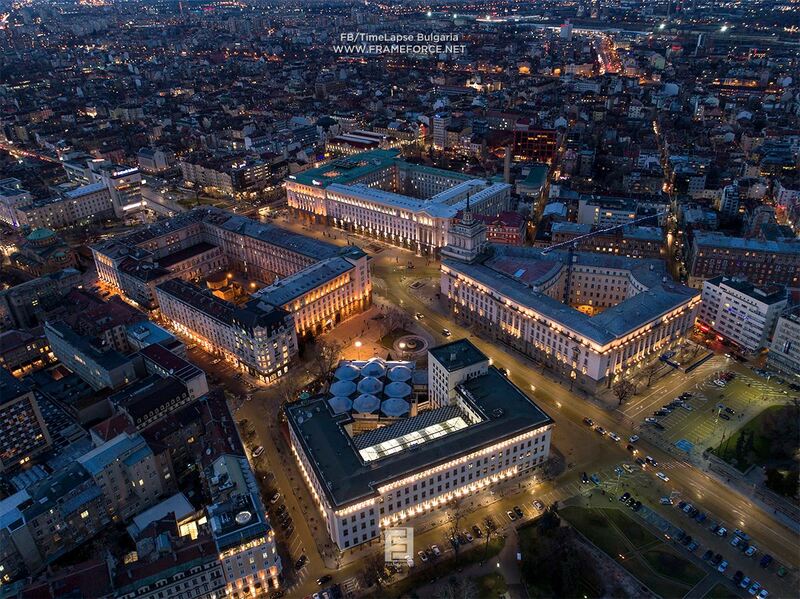 The metro stations Serdika and National Palace of Culture are located on the both ends of the pedestrian zone. Moreover, on Vitosha Boulevard there are many hostels and hotels and you can stay there if you want a central location. It is always pleasant on Vitosha Boulevard, full with young people. Biking is forbidden but you will see many bikers indeed. On the street you will also see street musicians, bookstores,shops, pharmacies. We love walks on Vitosha Boulevard. Our usual route is from the National Palace of Culture (NDK) to the Central Hali and back. Sometimes we make a small detour to sit in a restaurant for lunch or a drink. I remember Vitoshka 20 years ago.Trams and cars were still moving there. Here were located the most expensive shops and people from the country came here to buy new trainers or luxury clothes. Later they stopped the traffic and left only the bad asphalt. We used to come here for a bite after a long disco night and the shops started to disappear because of the large shopping malls. 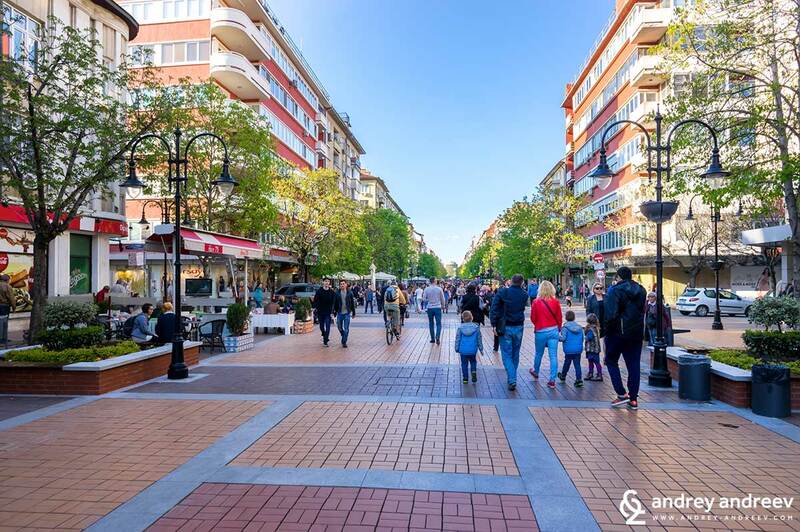 A few years ago Vitosha Boulevard was transformed and now we love its look as a pedestrian zone. 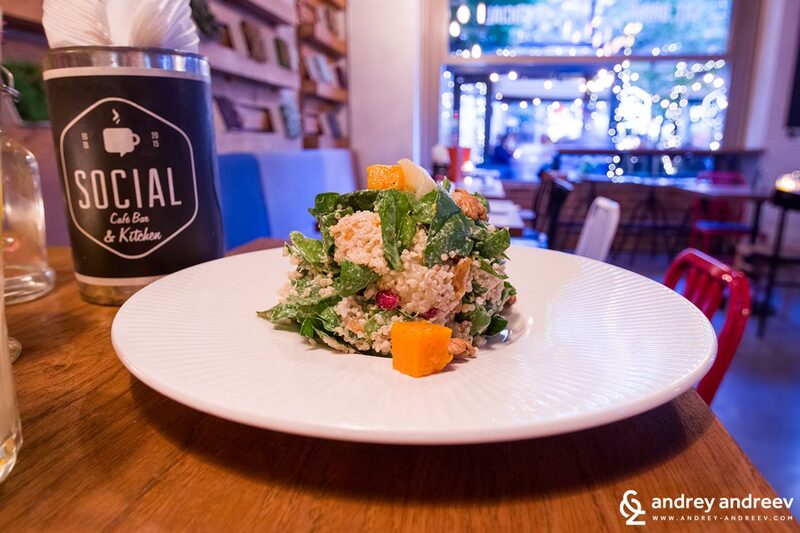 Where to eat at Vitosha Boulevard? Despite we often come here, we have still not visited all the cafes and restaurants on Vitoshka. 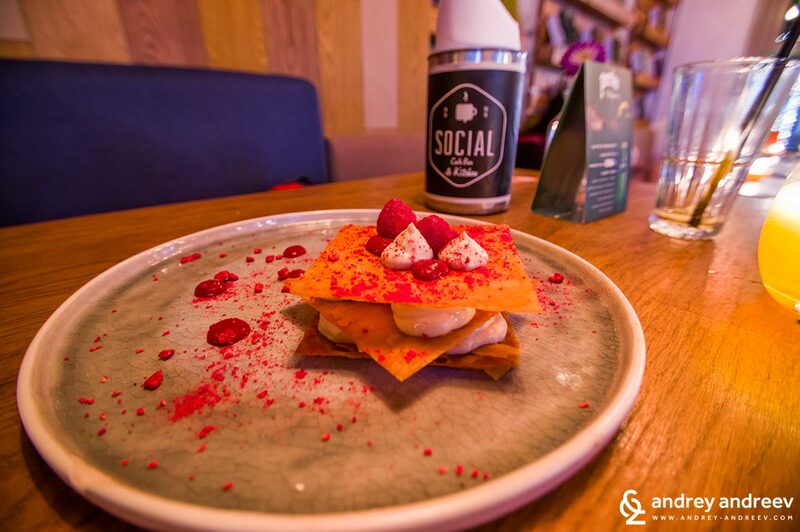 One of our favourites so far is Social Café Bar and Kitchen – a cozy restaurant with wonderful food. A more budget and 24-hour open place is UGO pizzeria. 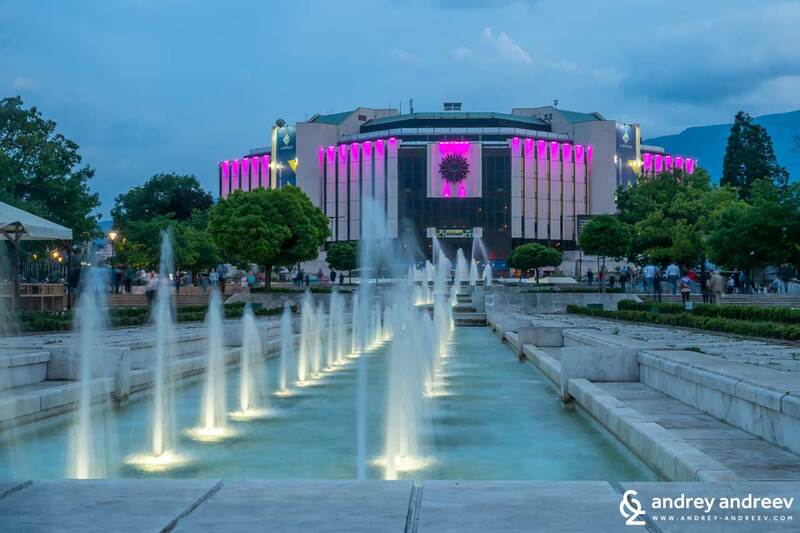 Our walk will end here but not before we tell you about this very big landmark of Sofia – the National Palace of Culture (NDK). Its construction was a part of the initiatives for celebrating 1300 years of the creation of Bulgaria in 1981. There are many tales and legends around the impressive building. Among them, for secret tunnels below the building. I have not seen them in person so I cannot comment, but I can say that NDK is stillthe largest convention centre in Bulgaria and one of the largest on theBalkans. 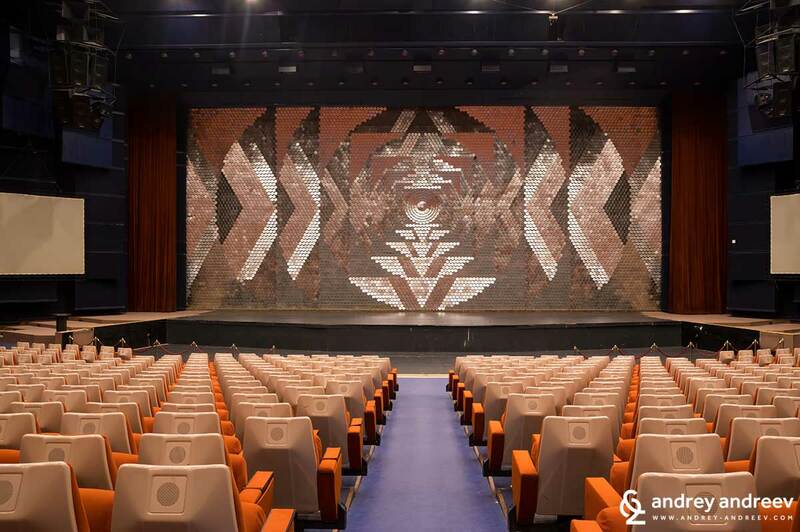 It features the famous Hall 1 – a concert hall where some of the mostprestigious cultural events happen. It is not the largest concert venue inSofia but we love going there. The Palace has many halls inside it, decorated with impressive artworks, but they can be visited only if there is some public event in them. When there are not such events, you will probably not be let inside the building or you can only see the foyer with the impressive sculpture Revival. Even if you cannot get in, the park around NDK is also an impressive place. The many cascades and fountains create an amazing atmosphere.You can also walk along the many alleys and just feel Sofia. When we are around NDK, we never wonder where to eat. 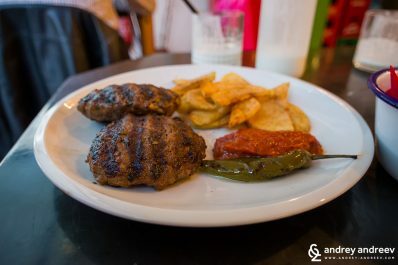 We love places with different food and cozy atmosphere and one of our favourite places is Annette Moroccan Restaurant. Of course we keep exploring other places so if you have been to a nice restaurant around NDK, let us know. We have to admit that two days might not be enough to see all of the mentioned landmarks in Sofia. Well, if you only walk by them, you could make the walk in a couple of hours. But each one is so interesting and beautiful from both outside and inside that it is worth all the dedicated time. Finally,or in the middle of your walk, do not miss to sit for a coffee or lunch at Vitosha boulevard. This is how you will really feel the spirit of contemporary Sofia which we love so much. 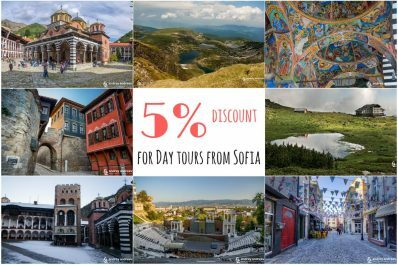 And if you want more, discover more places in Sofia. 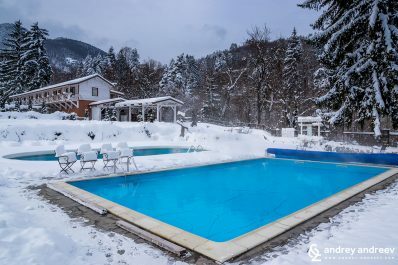 Outdoor hot mineral pools in Bulgaria – where to go in the cold seasons? Thank you for this wonderful post. 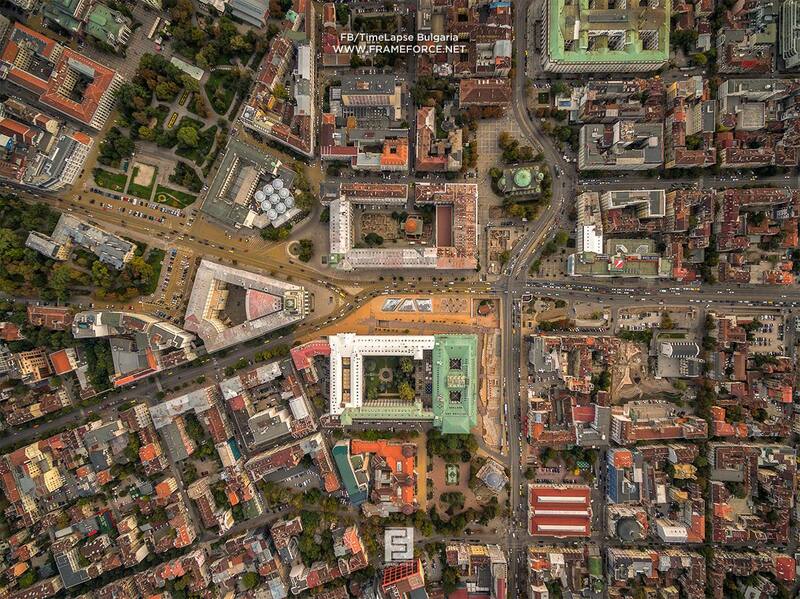 We will be in Sofia in a few days and this is extremely helpful – and your photos are great.